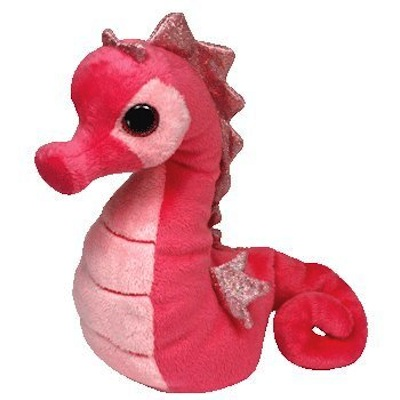 Home > Toys > Plush > Search By Animal > Small Animals > Majestic the Seahorse 8"
Beanie Baby Majestic the Pink Seahorse 8" Plush. Ty 42072. Is where you can look to find me. I sparkle on the ocean floor!